Keywords: White Light Led, Color Temperature, Pulse Width Modulation. supplementary light of portrait photography. be achieved by using the color filters. compensate the white balance should be developed. Chieh and Chun-Lin, 2009, Elodie, et al., 2009). Hung M., Chuang W., Li C., Huang K. and Lin Y. Precision Lighting of LED Array using an Individually Adjustable Color Temperature and Luminous Flux Technology. ture range of LED array is from 2800K to 4900K. 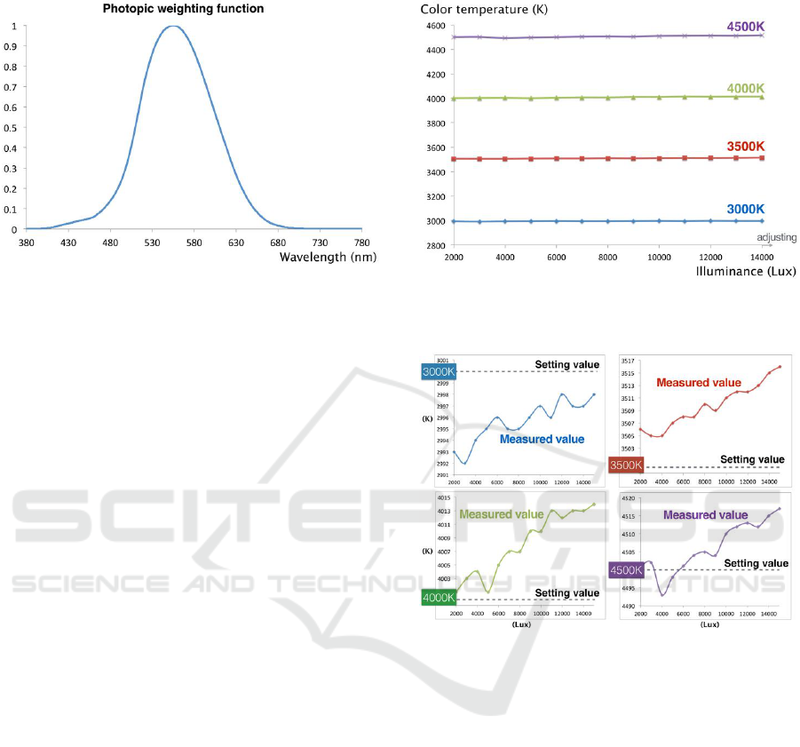 lighting and related spectral applications. developed white light LED array is shown in Fig.1. array are shown in the embedded pictures of Fig. 1.
sensing heads is about 60 mm. Figure 1: Experimental setup of the measurement system. 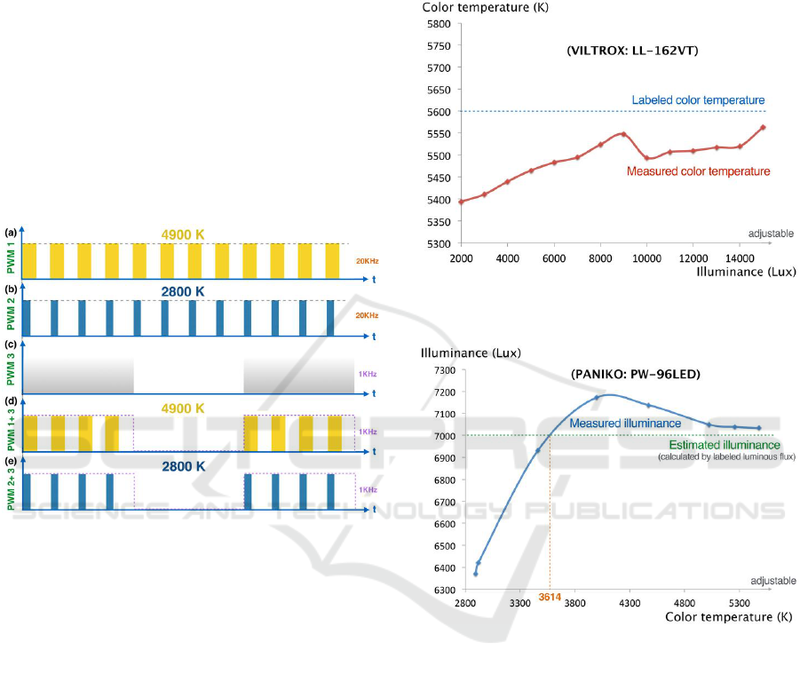 cycle and color temperature of two kinds of LEDs. pulse width per unit duty cycle is constant. a more precise and flexible way. adjustable and the luminous flux is adjustable. guish such a small difference by the human eye. when the color temperature is lower than 3614K. will numerically show in the next chapter. affect the result for the comparison. increasing illuminance of the developed LED array. 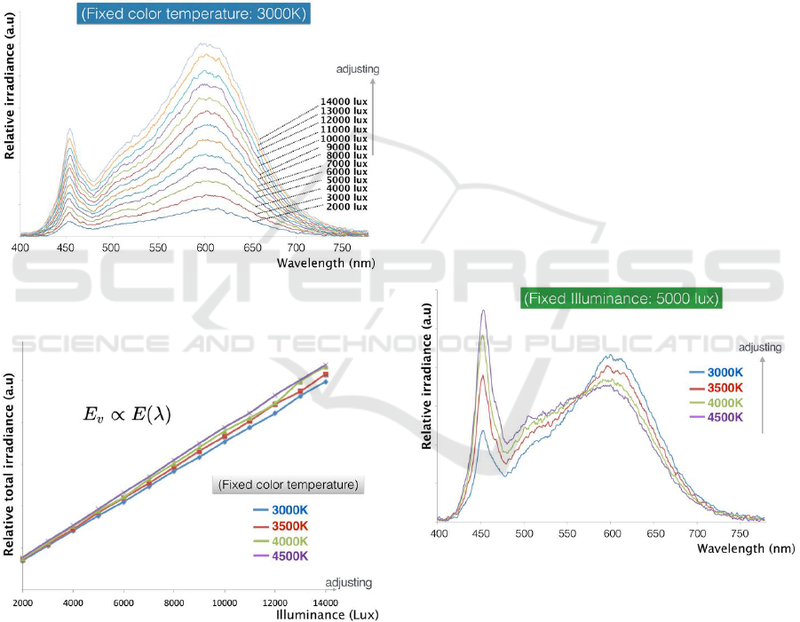 illuminances at color temperature of 3000K. 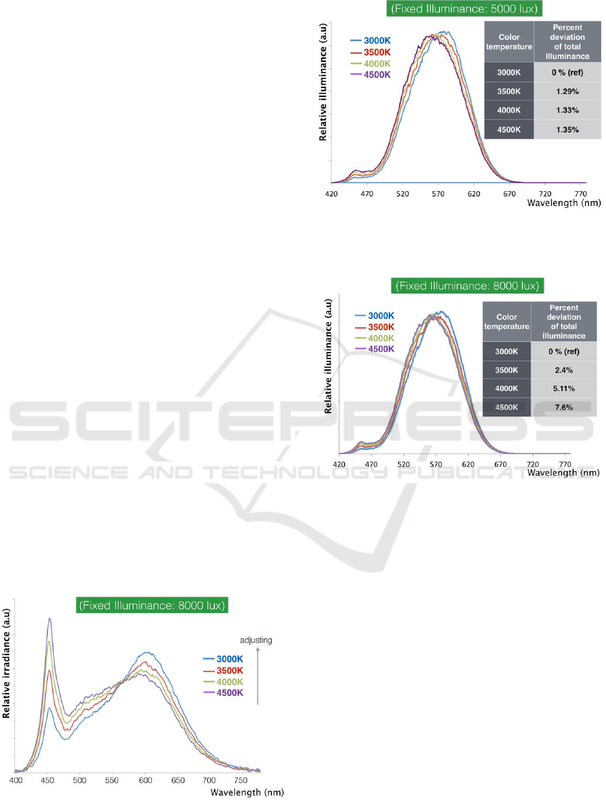 and illuminance at various color temperatures. axis of ordinate indicates the relative irradiance. become taller with the increase of LED illuminance. is a proportional relationship between them. be relative smaller at lower color temperature. distributions and relations are similar to each other. (Fig. 5). The corresponding results are shown in Fig. for color temperature variety is relatively high. display manufacturing and color management. the illuminance are between 1.35% and 7.6%. for white light LED lighting technology. Light Sources. 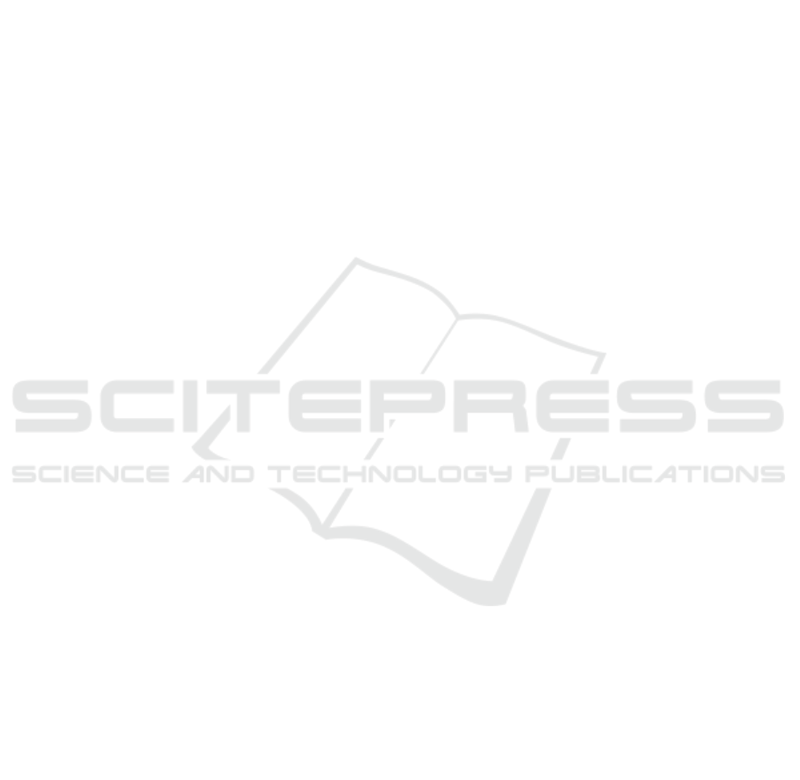 Journal of Display Technology, Vol. Ye, S., Xiao, F., Pan, Y.X., Ma, Y.Y., Zhang, Q.Y., 2010.
properties. 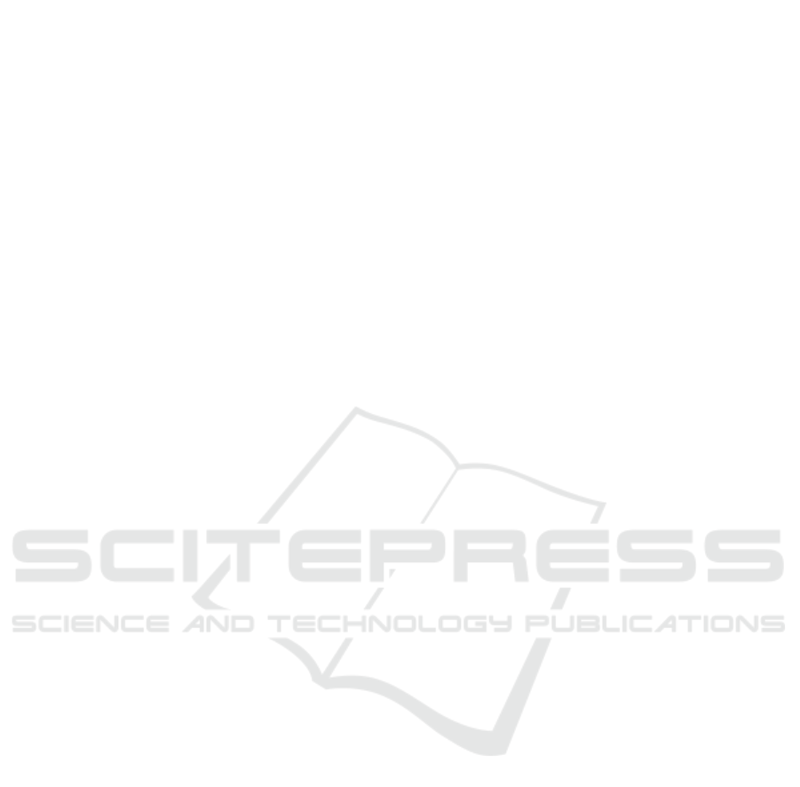 Materials Science and Engineering, Vol. light LED system. Proc. SPIE, p. 6337. Lin, Y. C., Lai, W. C., Tsai, J. M., Chi, G. C., Wu, R.
phosphors. 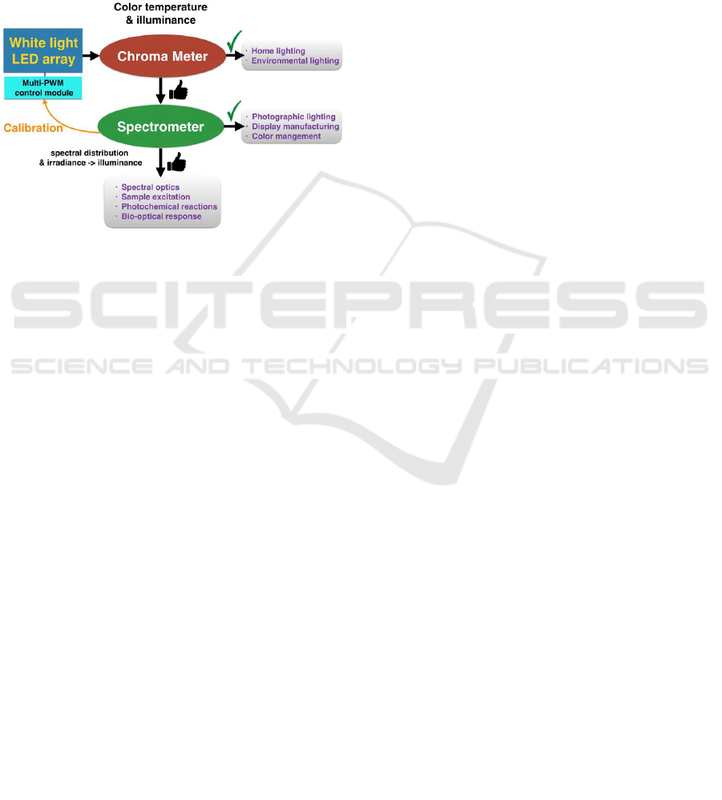 IEEE Photonics Technology Letters, Vol. 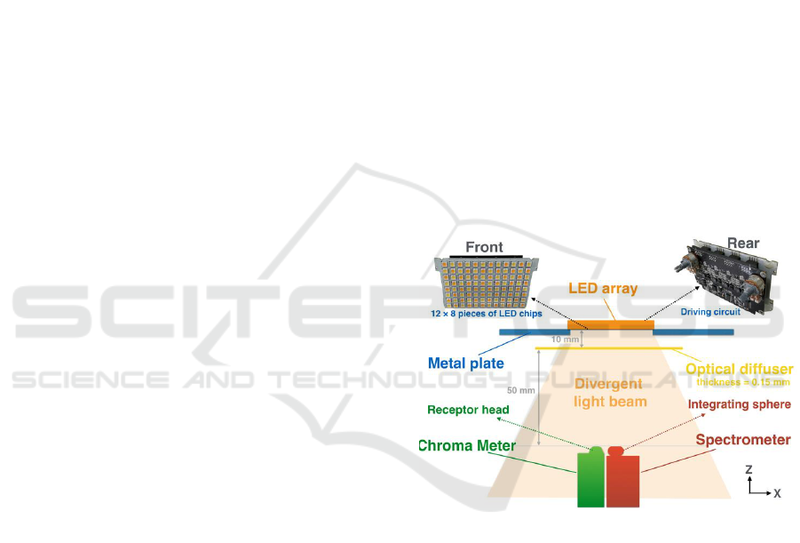 LED color rendering. Opt. Eng., Vol. 44(11), p.
radiation. Optics Express, Vol. 19(3), pp. 2519-2529.
color rendering index. Applied Optics, Vol. 49(24), pp. omni-directional reflector. Optics Express, Vol. approach. Proc. IEEE Ind. Appl. Conf., pp. 1671-1676. Regulation and Phase Shifted PWM. Proc. IEEE Appl. Power Electron. Conf. (APEC), pp. 287-293.